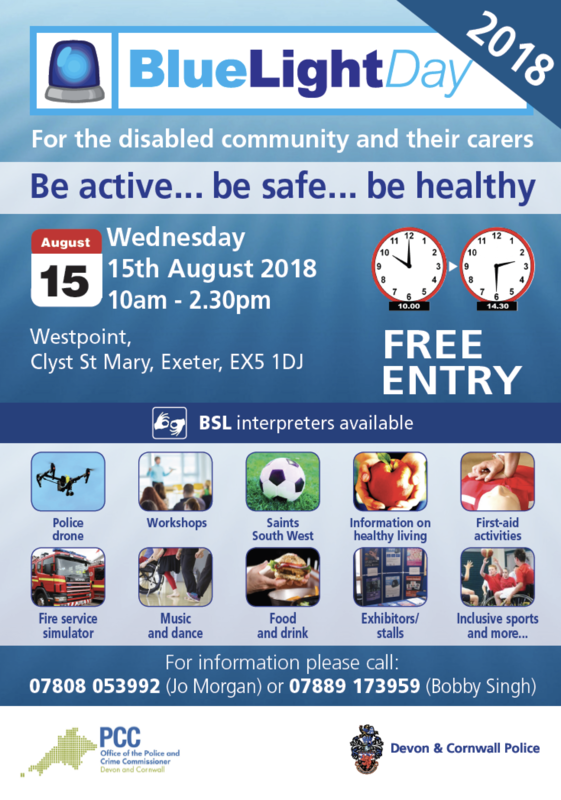 Members of the Police and Crime Commissioner's team will be attending Devon Blue Light Day in Exeter to engage with the disabled community and their carers. Devon Blue Light Day aims to break down barriers between individuals with learning disabilities and the emergency services in an interesting and interactive way. Alison Hernandez hopes to be at Devon Blue Light Day and will be available to answer any questions about local policing, community safety and the proposed merger between Devon and Cornwall Police and Dorset Police.